Jasper Knight was born in Sydney in 1978. He was a finalist in the 2005, 2006, 2007, 2009 and 2010 Archibald Prize. He was also a finalist in the 2005, 2006, 2011 and 2012 Wynne Prize for landscape painting, and won the 2008 Mosman Art Prize. In 2012 Knight was a finalist in the Moran Prize with a portrait of Australian painter Jeffrey Smart. He uses many different textual surfaces in his artworks and likes to work with industrial materials such as enamel, masonite, plywood, perspex and copper. He has held solo exhibitions Australia wide and in Berlin, Paris, London and Hong Kong. 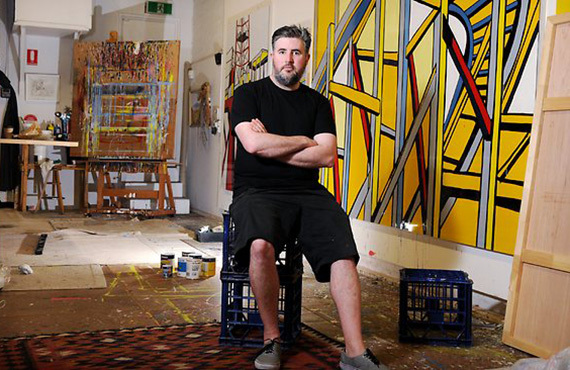 Knight is regarded as one of the hottest young emerging stars in Australian contemporary art.